The First Alert BRACKET5 Replacement Fire Extinguisher Bracket includes everything you need to securely mount your First Alert fire extinguisher. 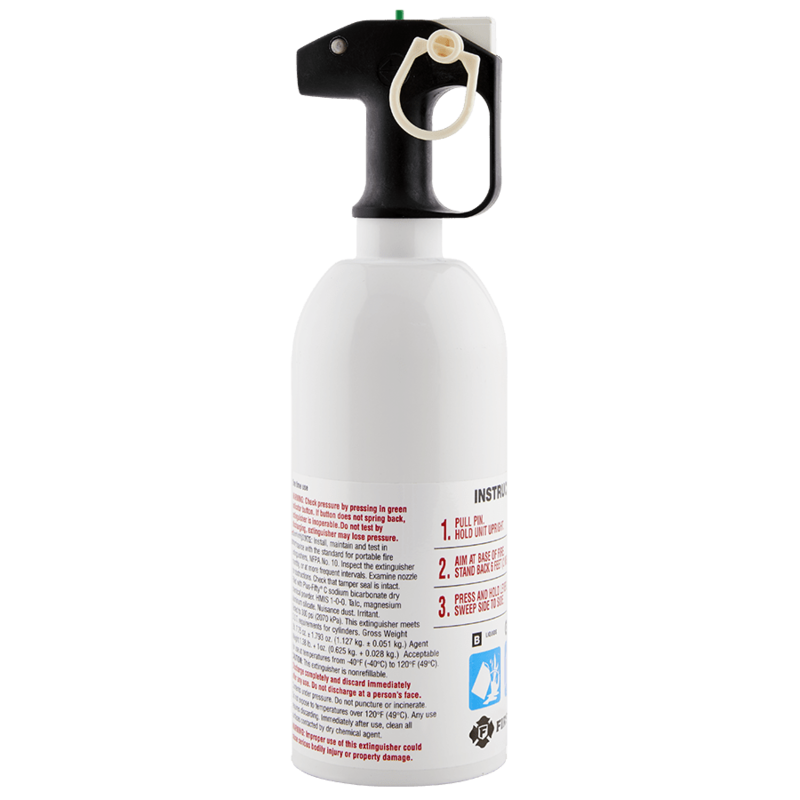 Designed to accommodate First Alert HOME2 and PRO5 fire extinguisher models, this fire extinguisher mount is approved for wall, marine, and vehicle use. The fire extinguisher holder is made from durable corrosion-resistant steel and comes with stainless steel straps for long-lasting durability. The First Alert BRACKET5 Replacement Fire Extinguisher Bracket is compatible with multiple fire extinguisher models including the: HOME2 and PRO5. The First Alert Replacement Fire Extinguisher Bracket features an incredible amount of installation options and can successfully be mounted on walls or be implemented for marine and vehicle use. This fire extinguisher bracket is made from a corrosion-resistant, black powder coated steel and comes with stainless steel straps for long-lasting durability.